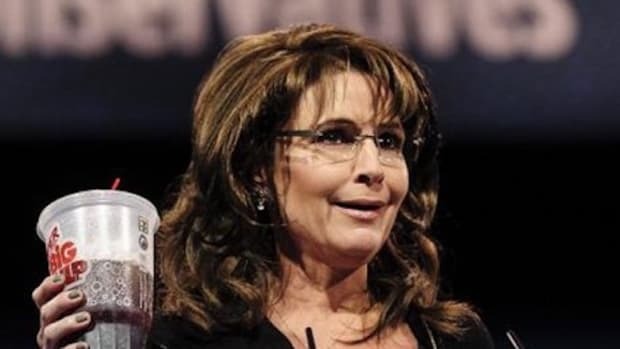 Sarah Palin believes that dinosaurs and humans existed simultaneously. If it were a joke it would be hilarious, but sadly it is a reality. As much as I dislike him at this point, I do not believe for a second that McCain thinks any such thing. She also contradicted McCain&apos;s Pakistan statement from the debate (in favor of a position that sounded like Obama&apos;s) while getting a Philly cheesesteak at Tony Luke&apos;s (at least she has good taste in food...Tony&apos;s hoagies are awesome). 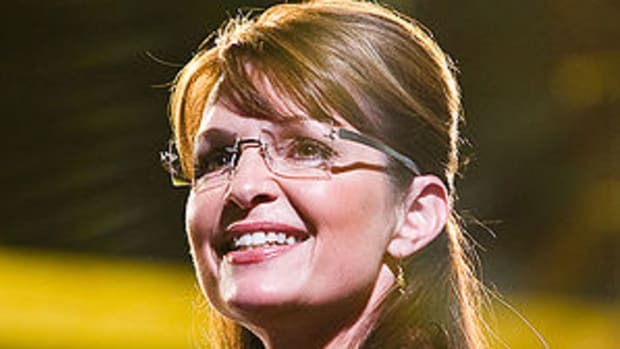 This morning on ABC McCain dismissed Palin&apos;s statement, essentially saying "don&apos;t take her seriously." up eating at a fancy restaurant with Joe Lieberman while the serious people were up on Capitol Hill working on the deal until 5 in the morning. If not at least my guy still wins. Who cares about Palin's clothes? Sarah Palin answers questions, thinks we're "at the halfway point"